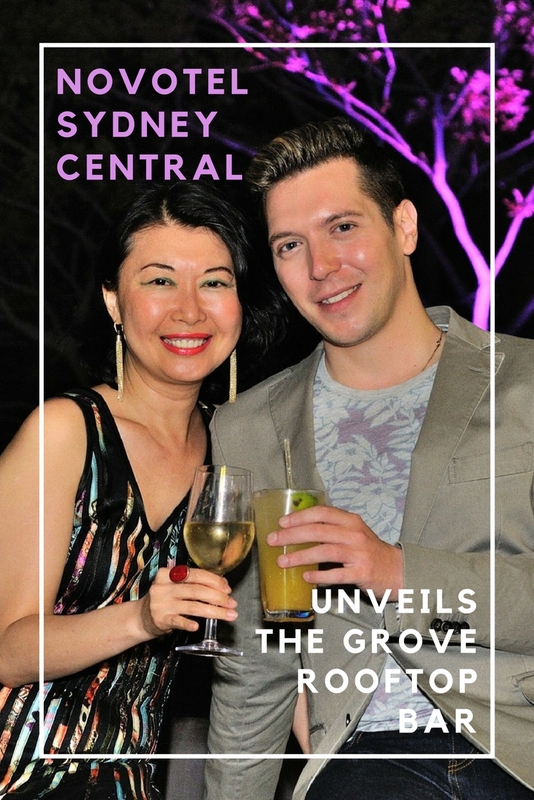 Thursday the 19th of January, it’s mid summer in Sydney, I was happily attending the Grove Rooftop Bar’s VIP Media Launch. Not only do I often fancy visiting this kind of America-style bar, at least as I imagine it; the idea of taking advantage of summer’s warm weather and elevated views in the extended twilight excites me. The Grove Rooftop Bar is located on the eighth floor of Novotel Sydney Central, it provides interesting, tucked away city views of the Haymarket Sydney; its outdoor garden space, the recycled timber furniture with accents of raw iron and director chairs creating a relaxed and laid-back atmosphere, very American/Australian indeed! While I was catching up with fellow bloggers and friends from media companies, my partner Kent finally arrived after dark. Having put in a long day on a photo shoot, but on seeing the location, immediately wished he could have seen this rooftop bar at twilight and grabbed some shots to blog as well. Well, I guess that gives us an excellent excuse to come back! 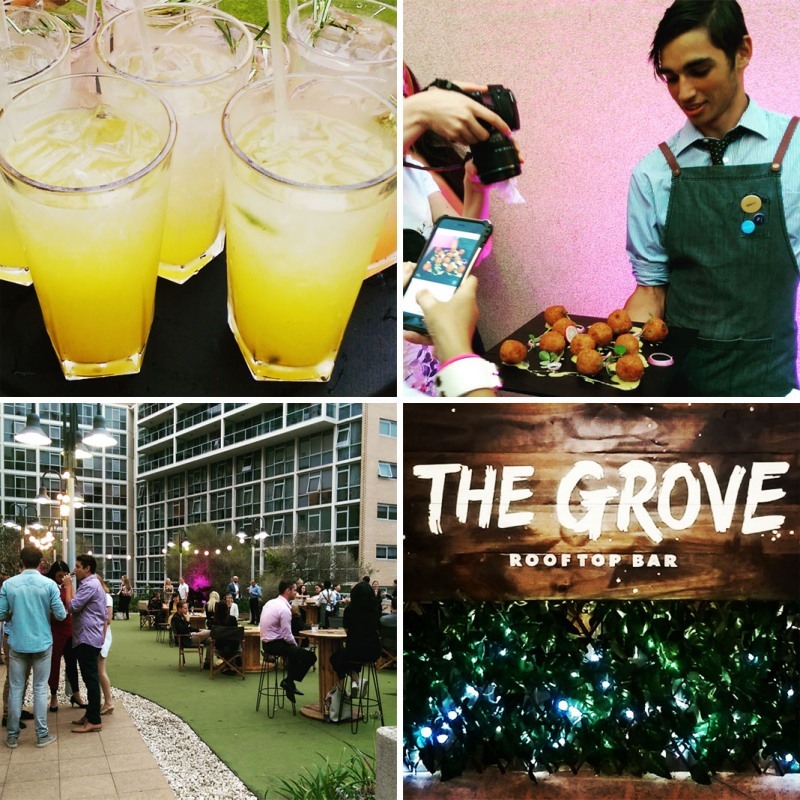 The Grove Rooftop Bar is truly a great summer spot and is open to Novotel Sydney Central guests and visiting patrons from Wednesday to Sunday from 5:30pm till 10pm through until the 31st of March 2017. The bar is also happy to take bookings for private events until December 2017, Monday to Sunday. Finally, In an Australian bar first, the Grove Rooftop Bar is powered by UE Boom’s Mega Boom Bluetooth speakers. If you have not yet heard of this amazing sound system, please check out my UE Boom #PartyUp post at vivalaViv. Thank you for the invite Novotel Sydney Central, we hope to see you again soon! 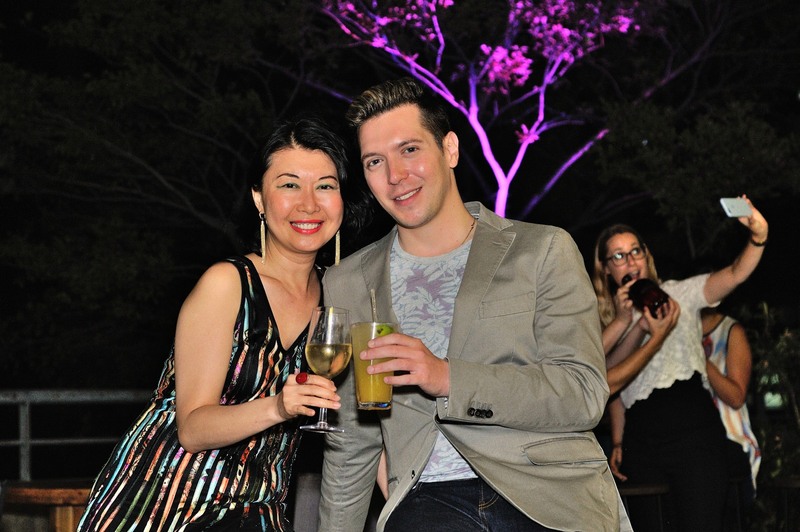 Located on the eighth floor of Novotel Sydney Central, the Grove Rooftop Bar is truly a great summer spot.